We will be posting updates, projects, and hosting all of our future events on the new blog. Well this is it folks, you made it through our week long Smudgefest challenge!!! Congrats to all of you who participated!!!! Even if you didn't make it all the way through the week, making just one project with only a day notice is a feat that deserves recognition! Thanks for showing us your wonderful art. Congratulations Anne! 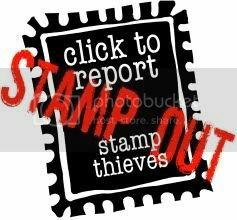 Please email us at smearedinkstamps@gmail.com to claim your digi. Thank you all once again for continuing to support us and our events. If you haven't yet seen it, please visit our updated Smeared Ink site where you will see our new blog, and will soon see our new shop! It was so cool seeing the effects and textures that you all created with your stencils for Day 6, thank you again for sharing your wonderful art! Send us a quick email at smearedinkstamps@gmail.com and we'll send on over your digi! Okay folks, this is your absolute last chance to get in on Smudgefest 2015! 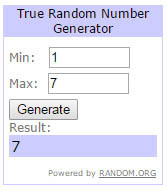 Only a few more hours in our Day 7 challenge, so get those entries in before midnight. Then visit us one last time tomorrow for the final winner announcement. Also, don't forget you can now sign up for 31 Days of Halloween, just follow the link for all the info! Smudgefest Winner Day 5 plus some NEWS!